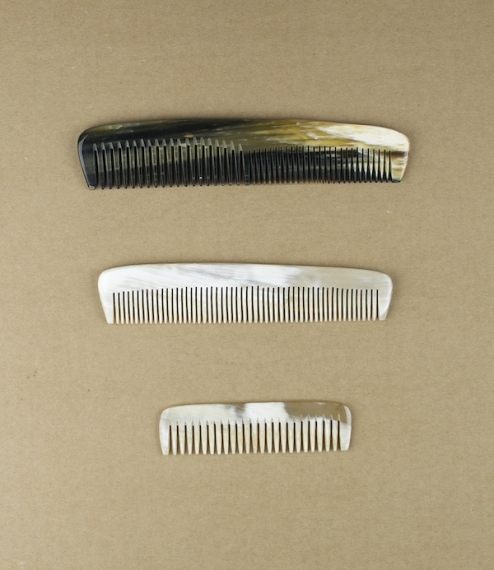 Hardwood combs from the Groetsch family of Enzendorf, Germany. 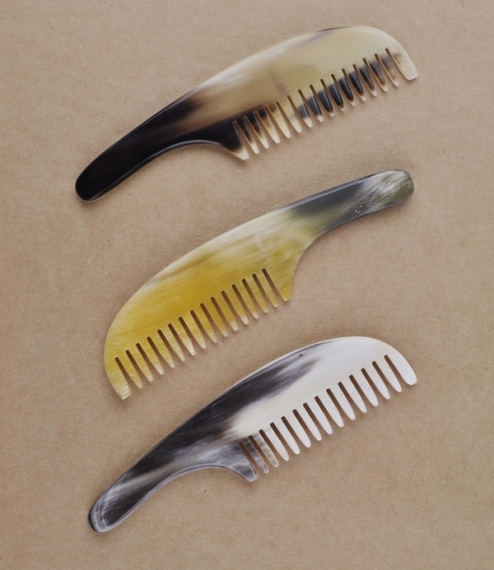 Handmade of local timber (pear, whitebeam, wild as well as true service - all of which are smooth grained, tight pored woods known for their hard and even texture) on the original 150 year old cutting machines, with teeth that are tapered, rounded at tip and base, polished on both interstitial and external faces, and fixed to laterally grained backs for flexible strength and support. 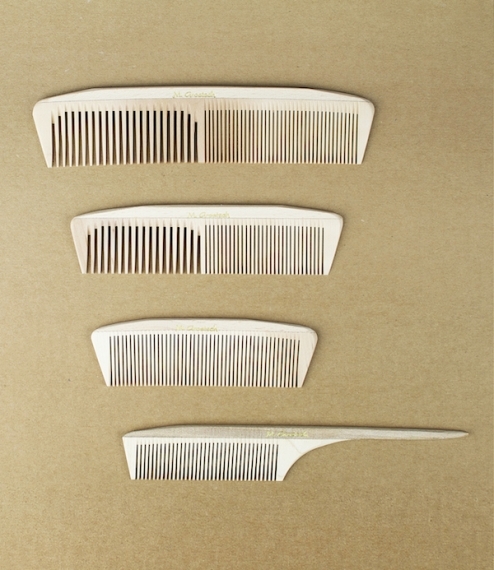 Available in four types: No.1 measures 18cm and is split between fine and broad fairly deep teeth, and is intended for the styling and untangling of longer thicker hair; No.2 is of 14cm and for shorter styles; No.3 is an 18cm (about 8cm combed) fine toothed styling comb with a slender handle which can be reversed for more precise shaping; whilst No.4 is a short fine toothed comb comb for tidying beards and moustaches.